Sunshade for the Jeep Compass helps provide superior protection against the sun's UV rays. Installs in seconds for maximum protection. 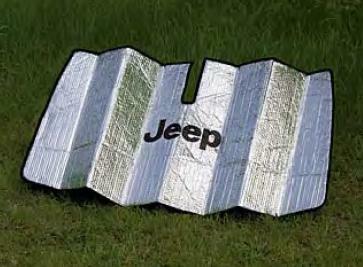 Foldable, blocks UV sun rays and heat, with Jeep logo. Finally a shade that fits and doesn't fall down.